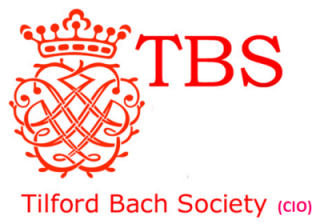 The Reinhart Trio made a very welcome return to the Tilford Bach Society for their November concert at the church of St Thomas on the Bourne. 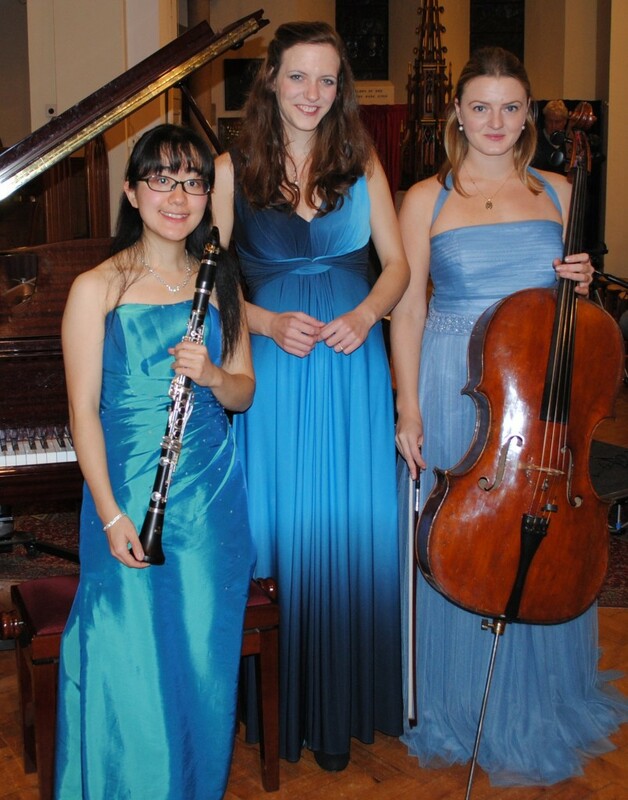 The four works performed explored combinations of cello, clarinet and piano in a variety of moods and styles. In the opening Sonata for Cello and Piano, a late work by Beethoven, Tatiana Chernyshova’s cello seems to be part of herself, so naturally and movingly did she produce this exquisite pattern of sound. As two members of the trio are Russian they chose the little-known ‘Trio Pathetique’ by Glinka, the ‘Father of Russian Music’ for their second piece which, despite the title, contains a good deal of sparkle and some delightful Russian folk melodies. In introducing the work Tatiana paid touching tribute to the English music establishment that had given her and Anna, and many other young musicians from around the world, such great opportunities to launch their careers. Clarinettist Anna Hashimoto introduced Paul Reade’s ‘Kitchen Garden Suite’, inspired by a 1980s TV series. Birdsong, swirling mists and the golden days of summer were beautifully evoked and warmed the audience up on the coldest evening of the autumn. More Beethoven ended the concert; an early Trio in B-flat major that culminated in an ‘Air and Variations’ that played with every possible combination of textures and effects from the three instruments. 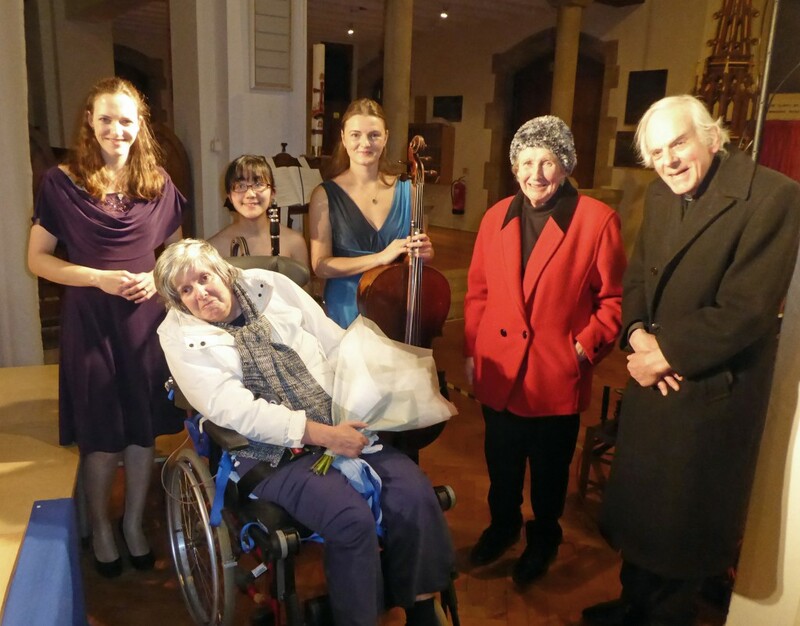 As an encore the audience was treated to a beautiful ‘song without words’ by Rachmaninov, much appreciated by the sponsors of the concert, long-standing TBS members Rev John Innes, his wife Sue and their daughter Jill. Pianist Elena Kiseleva comes from a musical family and her first teacher was her father, the famous Russian composer Anatoly Kiselev. After studying in the Central Special Music School of Moscow Conservatoire she moved to London in 2004 where she has completed her Bachelor and Master of Arts degrees. Cellist Tatiana Chernyshova began cello and piano lessons at the age of six and in 2004, went to study at the Moscow Special Music School with Professor Vladimir Tonkha. In 2010, Tatiana moved to the UK to study at the Royal Northern College of Music before completing her Master of Arts under the guidance of Professor Felix Schmidt at the Royal Academy of Music. Tatiana has performed extensively throughout Europe, the UK and Russia as both a soloist and chamber musician. Her festival appearances include a performance with Yuri Rozum at Kensington Palace, Stockhausen’s Gruppen with London Sinfonietta in Southbank Centre’s The Rest is Noise, and the Russian premiere of Gubaidulina’s Mirage: The Dancing Sun for eight cellos in the Moscow State Conservatory Great Hall. As a member of Stella Quartet, Tatiana made her Wigmore Hall debut in July 2013, performed in the 2014 Wigmore Hall concert series For Crying Out Loud and gave the UK premiere of Pereria’s Strophe in Duke’s Hall. Clarintist Anna Hashimoto made her London concerto debut at the age of fifteen playing Weber with the English Chamber Orchestra at Barbican Centre. She has since been invited regularly as a soloist with the orchestra, most recently in Norfolk in the presence of HRH Prince Charles. She was the winner of the International Clarinet Competitions in Kortrijk (Belgium) in 2010, in Carlino (Italy) in 2009, and the Young Clarinettists Competition in Tokyo in 2003. Anna has performed in major venues in the UK, Europe, USA, Mexico and Japan, including South Bank Centre and Wigmore Hall in London. She has played concertos with orchestras such as the English Chamber Orchestra, Japan Philharmonic, New Japan Philharmonic, Nagoya Philharmonic, and the Chamber Orchestra of the NHK Symphony. She has been broadcast on NHK TV and FM, FM Tokyo, ABC Radio and BBC Radio 3, including BBC Radio3’s ‘In Tune’, NHK-FM’s ‘Best of Classic’ and NHK TV’s ‘Classic Club’ (joint recital with Michael Collins). Anna’s debut solo album ‘A Touch of France’ has had very favourable reviews in UK, USA and Japan. She released her second solo album, ‘A Touch of Anna’ in 2014.